Isn’t Pinterest fantastic? 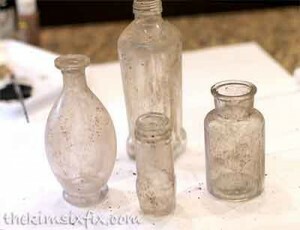 And doesn’t it make you feel completely inferior? 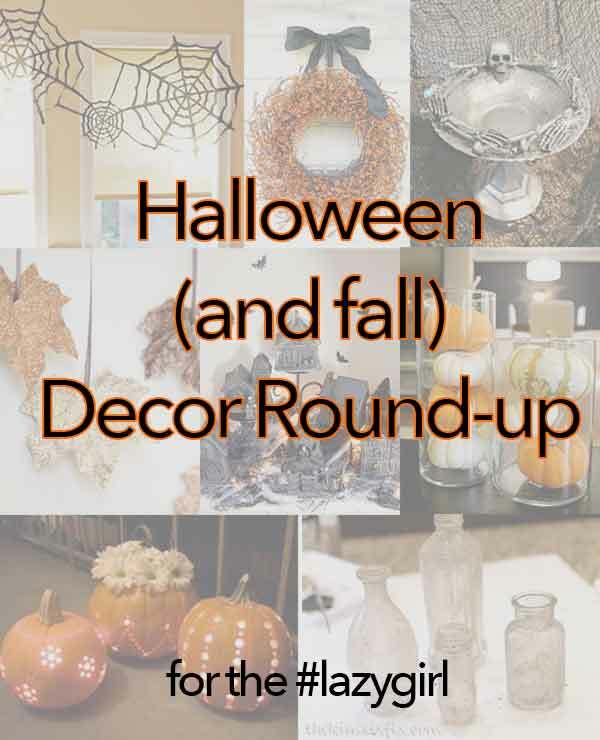 Yeah… Not everyone has endless time on their hands for crafting and that’s ok. I’ve compiled a list of (mostly) simple projects you can use to decorate your home for Halloween and fall without losing your mind. 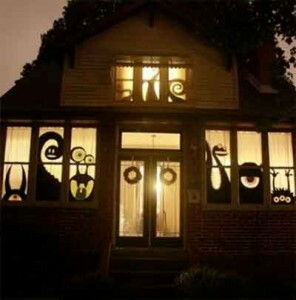 Pick a couple depending your crafting ambition and you’ll still probably be more decked out than your neighbors. 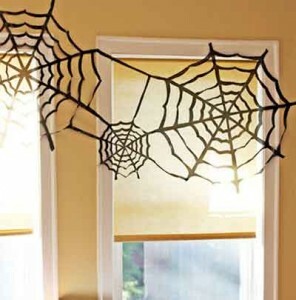 While a few of these are more involved, most can be accomplished with scissors, glue, and paint. You can cut out a bunch while binge-watching Netflix. 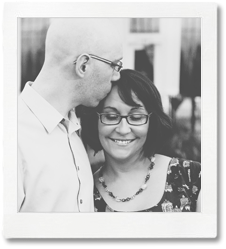 Win, right? 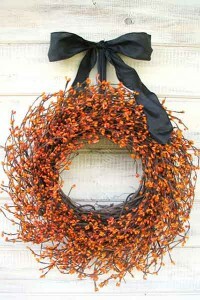 So yeah, I linked to another round-up, but there are tons of options for Halloween/Fall door wreaths. Ok, so these are for decorative jars, but the effect would be pretty cool for on candle holders too, right? 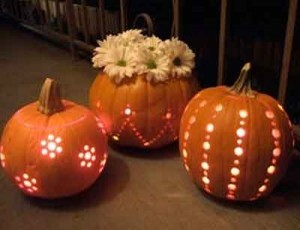 Or use a small pumpkin for a candle holder and drill that puppy. Have a little extra time (and are a Harry Potter fan)? 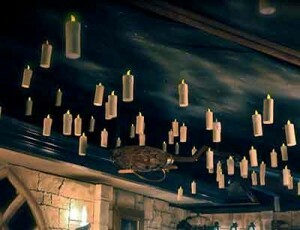 You can DIY a floating candle ceiling! 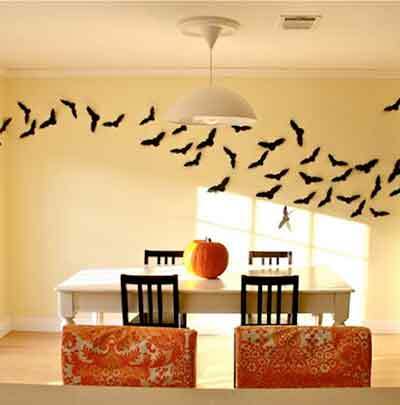 More work than some glue and a coat of paint, but spectacular! 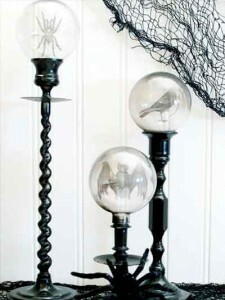 You can also nix the night sky and keep the backdrop solid black. 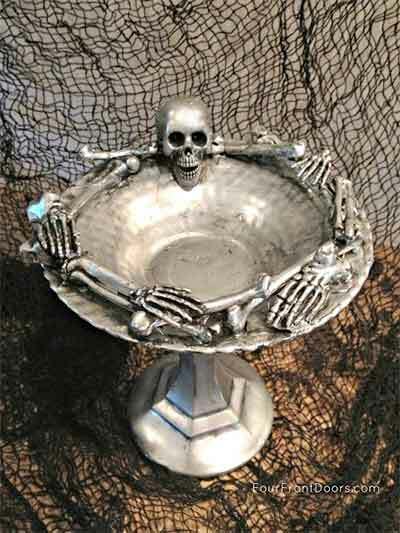 Dollar store skeleton + dish + candle holder + paint = awesomely creepy dish. You can use it for party treats or candles, either way it make a big statement on your table. Ok, these are also a little more work but how cool are they??? 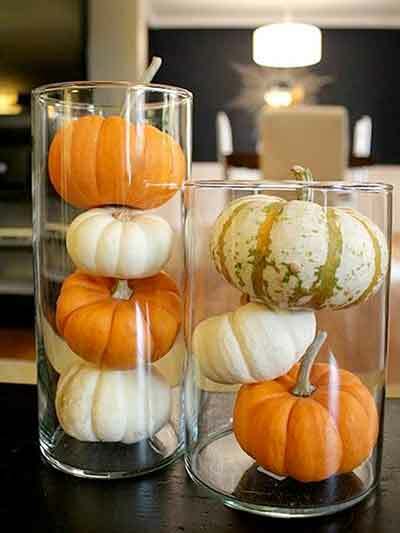 One or two would still make a big impact if you don’t have time for a whole cluster and most of the supplies can be found easily on the cheap. Spooky village anyone? 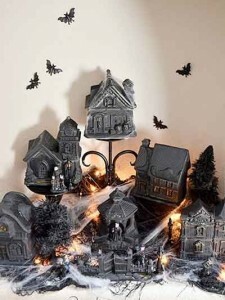 They found the Christmas village pieces at the dollar store and then just painted them black. 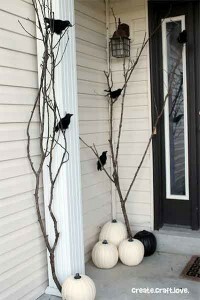 Halloween Decorations are all fine and good, but want if you want to feel fall festive for more than a couple weeks? 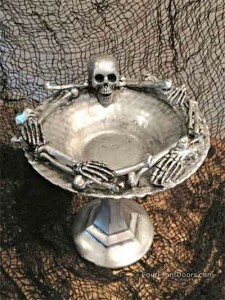 I try and use mostly things that are generally seasonal rather than holiday-specific (and then bring in a few holiday-specific items as needed). 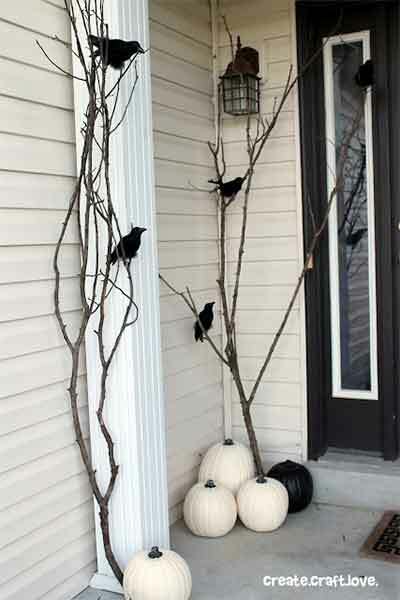 For fall these barely need tutorials–a cluster of gourds and mini pumpkins, sprays of branches and (fake) fall leaves, groups of cozy candles. But if you’re ambitious you can step it up a bit too. 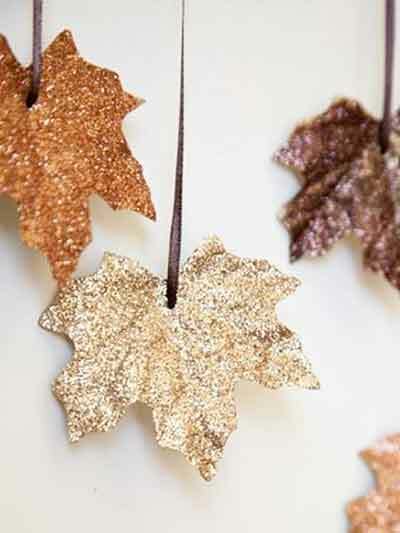 Add a little bling with a garland of fake leaves and glitter paint. Stack pumpkins or gourds in vases for more sophistication. 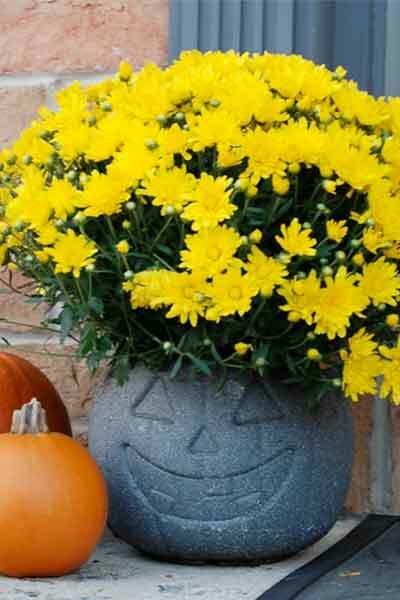 So Simple there’s not even a tutorial needed. 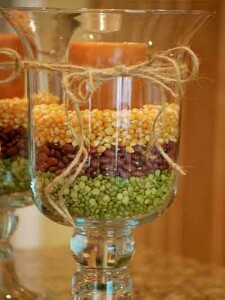 Toss some corn (beans, split peas, etc) into the base of your candle holders for some added color and texture.